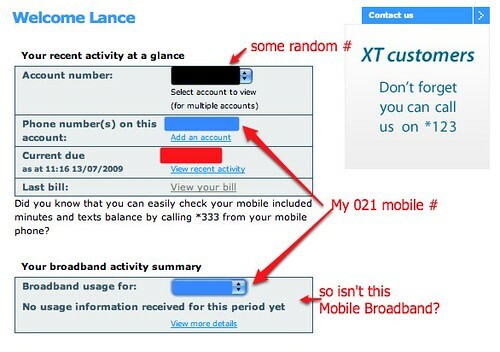 With iPhone pricing comparisons all the rage right now, I decided to have a first look at my Telecom XT Bill. I knew this would be entertaining, but despite everything below there is a minor victory, in that I have actually managed to do view the bill online. 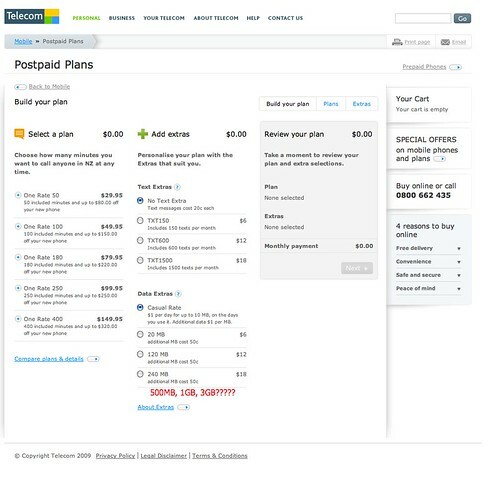 This is big win versus Telstra and Vodafone’s somewhat unusable websites. First I had to get my account number from the latest bill (which is at my accountant’s office, aka Mum’s desk). I find it somewhat amusing that I naturally chose to Skype my parents to get that number. Then it was pretty simple to create a login and look at my bill. Well done Telecom. However things got complicated when I started looking at the bill itself. Firstly – what is “others” and why am I charged 46161.00 (mins, secs or units? ), credited with 46146 and face a net charge $4.01? I assume that this has something to do with data – but what are the units? and why the $4.01 – did I go over my limit? Next was the main piece of the bill – which looked about right. I chose the 180 minutes talk and 1 GB data plans. It seems I signed up on the 4th of June, and this bill is for the period from then until the 31st of July. So one month is in arrears and one in advance. That seems normal, though why upon why I can’t sign up on the spot to have my credit card direct debited each month I will never fathom. This memo bit says I made 595 IP Packet Data calls – which is not really useful, as I get charged for the amount of data I use, not the amount of data connections I make. I’m pretty happy about the $1.92 in international calls – as I certainly made a lot of calls overseas, but given the 48 cents per minute rates to Australia charged for those calls I did make, I have long ago switched to Skype. Perhaps if international calls prices were reasonable? Oh dear – I certainly am not using nothing. And I clicked around a bunch more – looking at previous month, current and so forth, and all to no avail. 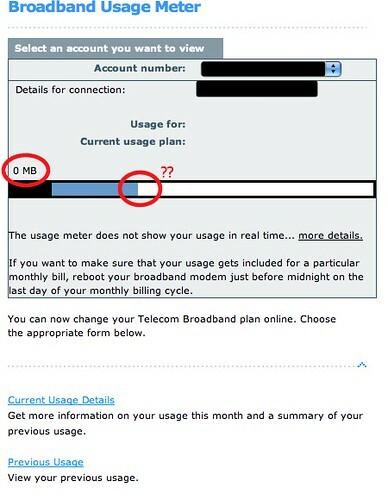 This chart below is particularly confusing as the bar is showing some usage, while the text shows 0 MB and there is no scale on the bar. I then had a bit of a account spasm (there wasn’t a time delay) and encountered a very friendly message. Invalid user account line null – does that mean the “valid user account line” was not null, that I am an invalid user? that we all need an invalid user account line? that the site has lost my login connection? The mind boggles. But then – a miracle. I managed to click on something that gave me my data usage! It seems that I used 282 MB from the 25th of June. 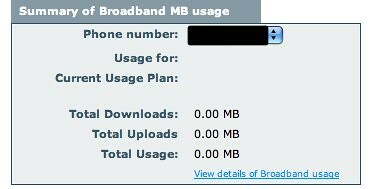 Intriguingly that data range has nothing whatsoever to do with my sign up date, account date or today’s date. 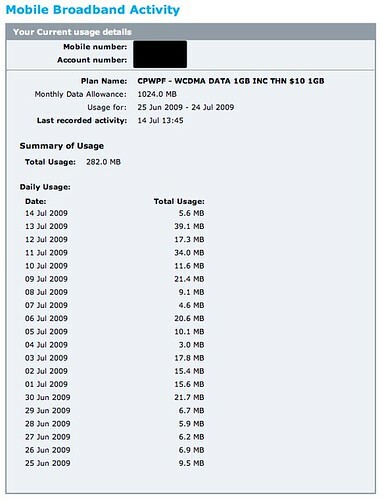 I have no idea how much data was used before the 25th of June and so ultimately I remain confused. 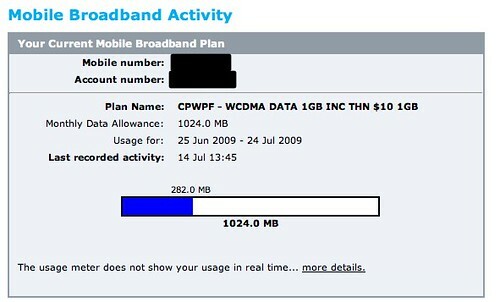 I was pleased to see that even on the 14th of July I am still tracking to stay well under the 1 GB limit for the 30 day period. I then wondered why it took me so long to find the mysterious link, and went back to the main account page to see. That bottom box is the culprit – the view more details line goes to zero data oblivion. The phone number shown on the drop down is my 021 mobile number, and so my expectation is that this will show my data usage. Turns out it doesn’t – and so my guess is that this box is used for those who use Telecom for their landline broadband provider. In that case why place the box there, and more importantly why use my mobile number? Let’s zoom out, and give Telecom some more feedback about this page. If you work for Telecom then click on the page to see it in larger format. If you want more – well my rates are pretty expensive, but you can call any number of usability experts in Wellington. Those few changes will increase upsells, reduce confusion about data use (and allow you to upsell that as well) and get your bills paid earlier. 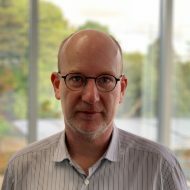 I’m not holding out much hope – as a giant Telco, indeed as a giant corporate, Telecom usually moves at a glacial pace. 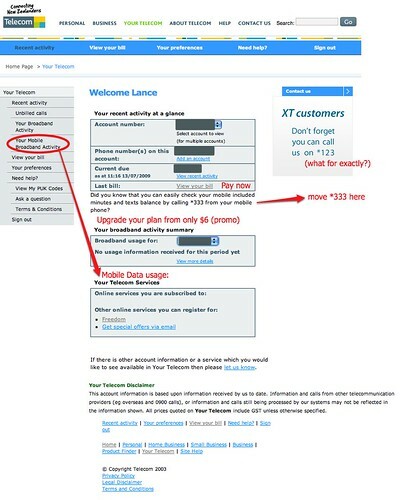 I hold as an example this XT Pricing page, which I tweeted about the day it was launched, and @telecomnz quickly said they would look at fixing it. It’s been a long time since then and no change has occurred. It’s just not hard to put 500/1Gb and 3 GB plans underneath the other data plans – so why not do it? It can’t be hard to put 500/1Gb and 3 GB plans underneath the other data plans, and it’s yet another opportunity to upsell – so why not do it? When you say you used Skype is that using XT on your phone or XT through a computer? Or using a separate internet connection all together?